Note: If the dropdowns do not display when you click on the arrow in the green bars, please refresh your screen and try them again. "The Living Landscape: Designing for Beauty, Biodiversity and Function"
Rick Darke, President of Rick Darke LLC, is a widely published author, photographer, lecturer and consultant focused on regional landscape design, planning, conservation, and enhancement. Blending art, ecology, and cultural geography, Darke is dedicated to the design and stewardship of living landscapes. He has studied and photographed North American plants in their habitats for over 40 years, and this work is reflected in his articles and books including The American Woodland Garden: Capturing the Spirit of the Deciduous Forest, which received the American Horticultural Society’s Book Award, the Garden Writers Association Golden Globe Award for book photography, and the National Arbor Day Foundation’s Certificate of Merit. A broadly knowledgeable horticulturist, Darke has traveled extensively in both hemispheres exploring diverse ecologies and cultural landscapes in search of ideas to enrich the global garden. He is an internationally recognized authority on the use of grasses in designed and managed landscapes. His book The Encyclopedia of Grasses for Livable Landscapes is the world’s most complete individual reference on this topic.Timber Press published Darke’s newest book, The Living Landscape: Designing for Beauty and Biodiversity in the Home Garden, co-authored with Doug Tallamy, in June 2014. “Garden Design: Grounded in Ecological Principles and Artistic Influences"
Sheila Brady, a practicing landscape architect with the firm Oehme, van Sweden & Associates, will talk about the ecological principles that ground designs in their local and regional context. She will also illustrate how the visual arts can inspire the way we see, integrate form, space, and the experience of the garden. Sheila Brady’s design achievements include many of the firm’s distinguished projects. Recent work includes the Native Plant Garden and Azalea Garden at the New York Botanical Garden in Bronx, NY; Caramoor Center for Music and The Arts in Katonah, NY; roof gardens for United Therapeutics, a biotechnology company and laboratory in Silvers Spring, MD; and the Martin Luther King, Jr. National Memorial in Washington, DC. Her award-winning private gardens are where attention to detail and focus on ecologically responsible design is evident. Her extensive work in sensitive coastal environments in New England has been widely publicized. Ms. Brady is a registered landscape architect and has been elected to the Council of Fellows of the American Society of Landscape Architects. She holds a Master of Landscape Architecture degree from Harvard University’s Graduate School of Design, a Bachelor of Arts from George Washington University, and studied at the Corcoran School of Art. The gardens that speak to me most are those of extraordinary plantsmen and women who have grasped the raw material of a site and through their engagement with place have created gardens both eloquent and useful. My own garden has been informed by these diverse gardens, some of them conceived in traditional styles and others that have blazed new trails in horticulture. What they have in common, as Marianne Moore puts it, is “a place for the genuine." For twenty-five years Bill Noble has worked as a garden designer and professional in garden preservation. As Director of Preservation for the Garden Conservancy, he was instrumental in the preservation and restoration of dozens of gardens throughout the United States. Working with individual garden owners as well as public and private organizations, he provides the expertise and direction needed to preserve and restore gardens and to promote best practices in successful garden management. 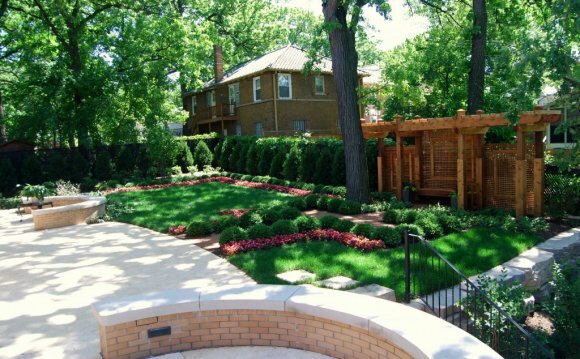 As a garden designer, he work with clients to create new gardens or to restore and rehabilitate existing ones. He has overseen the restoration of many significant American gardens, and his hands-on style and knowledge of plants, design, and maintenance contributes to the creation of gardens of lasting quality. The insights gained from the gardens and gardeners Bill has worked with are reflected in his own garden in Norwich, VT, which is included in the Smithsonian Institution’s Archive of American Gardens and has been featured in Martha Stewart Living, House & Garden, and the New York Times and Country Gardens. He lectures widely on topics relating to garden history and design and preservation.